In addition to great lower level seats that put you right in front of the action, VIP ticket holders have access to the autograph signing session by the Real Madrid basketball legends immediately following the slam dunk competition. Each section is free seating, so be sure to get there early so you can get one of the best seats in the house. 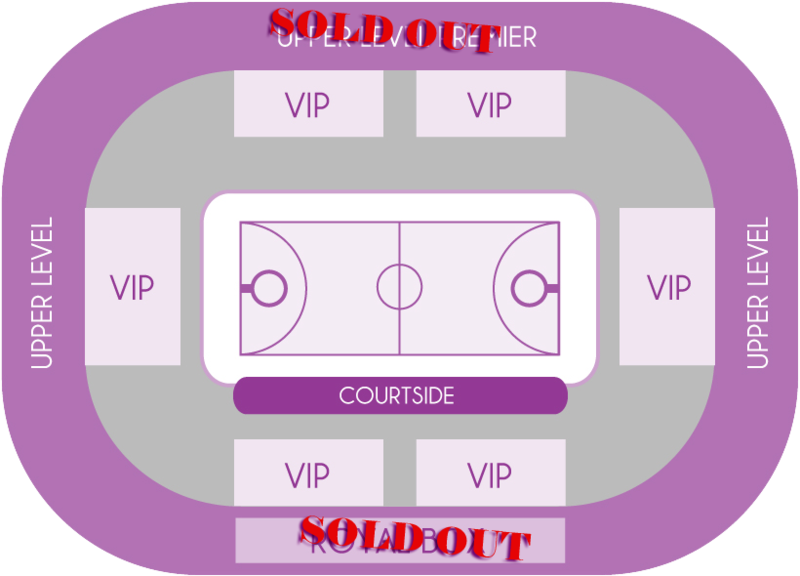 These special tickets give you access to the exclusive pre-game VIP reception where you can meet the celebrity game players, so be sure to bring your cameras. The pre-game VIP reception begins at 3pm, 90 minutes prior to the start of the game. Kobe Bryant is confirmed to attend. In addition, ticket holders in this category also receive a high end gift bag with gifts from event partners. You also receive access to the post-game autograph signing session by the Real Madrid Basketball legends team.